The ability to flow text into an arbitrary shape or even a simple box has been a feature long in demand in SVG. Thus it is on the list of required features for SVG 2. 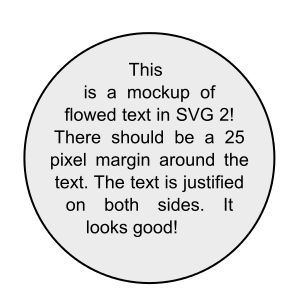 The SVG 1.2 draft specification included the ablility to flow text (and graphics!) into arbitrary shapes. Unfortunately, SVG 1.2 never got off the ground and only Inkscape and Batik seem to have implemented parts of flowed text. 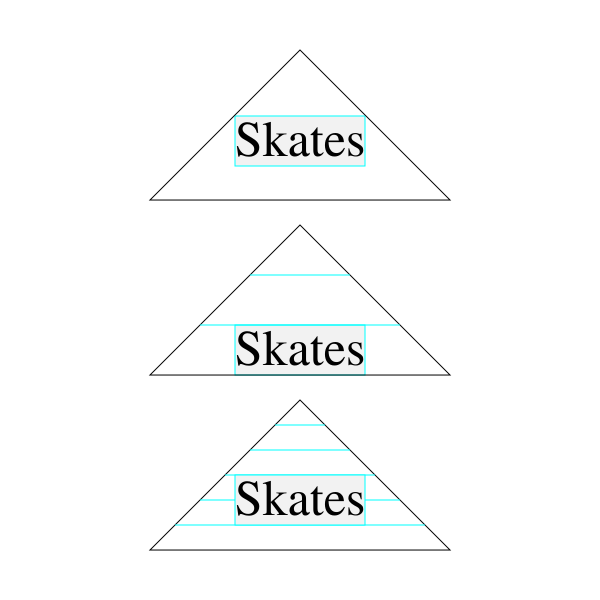 Inkscape’s implementation supports text flowed into arbitrary paths. If the path has a hole, text will wrap around it. 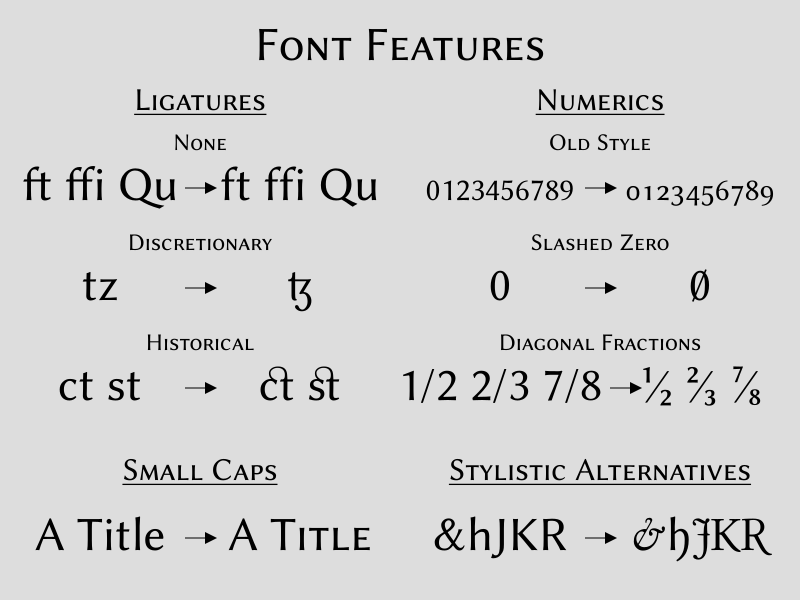 Inkscape also supports text flowed into multiple shapes. 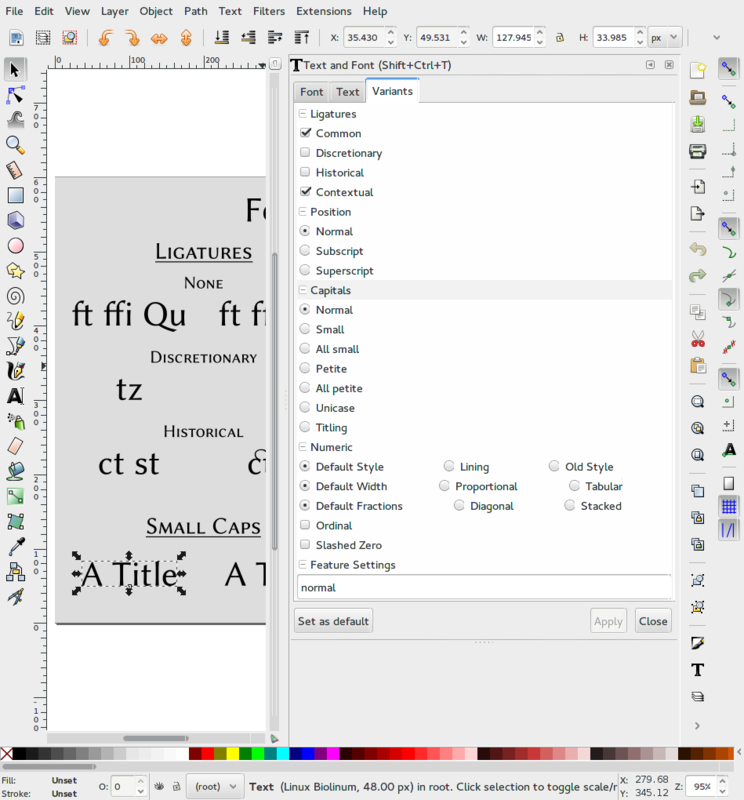 Inkscape (nor Batik) implemented flowing images or some of the fancier elements that control line and paragraph breaks. Text flowed into a Chinese Coin. 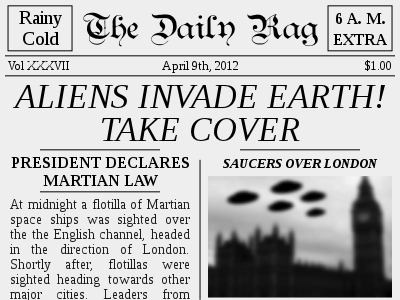 Done in Inkscape. Text flowed into three circles. 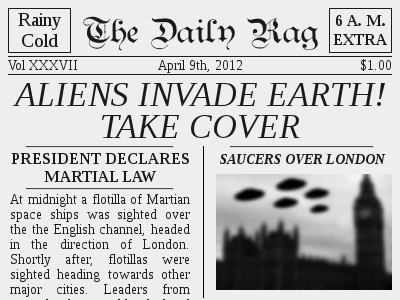 Done in Inkscape. Flowed text in SVG 1.2 does have some problems. First, it is complicated. There are eleven separate elements (Inkscape supports five, Batik seven). Second, there is some missing functionality. For example, there is no way to set a margin (as seen in the above examples). Third, the reality is that none of the browsers will implement SVG 1.2 flowed text even if it were part of SVG 2. They want a solution that works for both HTML and SVG. 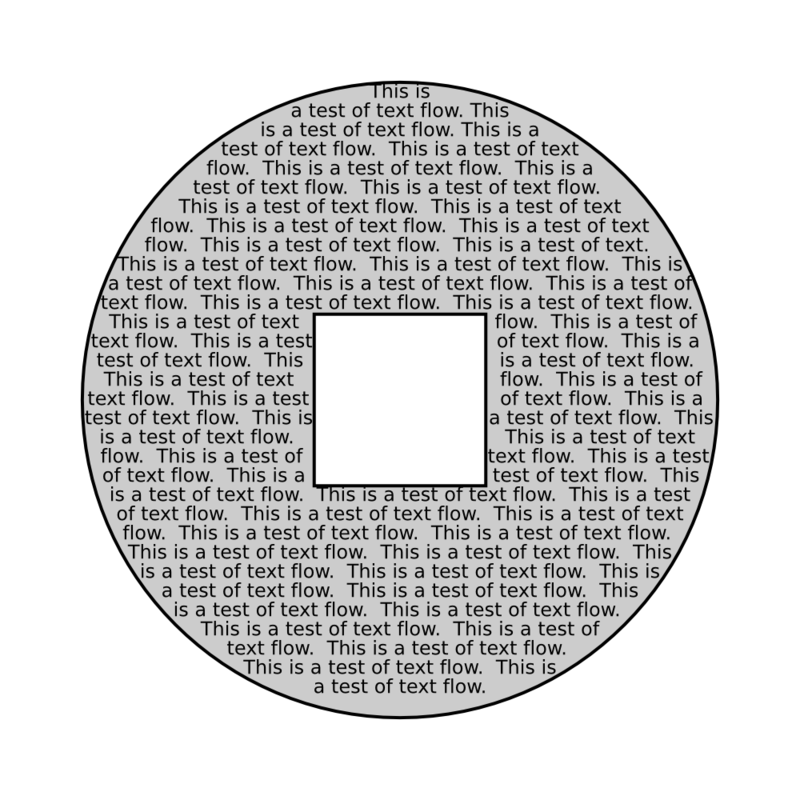 <text x="100" y="100" font-size="18px" text-align="justified"
Text flowed into circle using CSS Exclusions. I just knocked off adding hatches to SVG 2 this week and was ready to take a closer look at text wrapping so I could present a plan for its specification at the upcoming SVG Working Group meeting. I looked at the lastest CSS Exclusions public working draft and started formulating a plan. Things looked easy. But then, a few days ago, it was announced on the CSS Working Group mailing list that the CSS Exclusions draft had been split into an Exclusions specification and a Shapes specifications. This seemed OK at first but in looking at the current editor’s drafts (a step before publishing a public working draft) I noticed two problems. 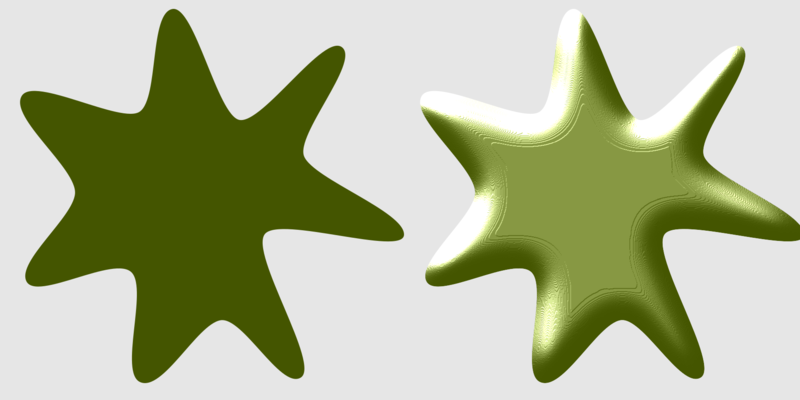 In the Exclusions editors draft ‘shape-inside’ had been removed, to be postponed to a future specification; and in the Shapes draft, it was no longer possible to reference SVG shapes and paths. These are the VERY two things that are most required for having flowed text in SVG are gone. Hopefully we can get these back. SVG 1.2 Working Draft (27 October 2004. 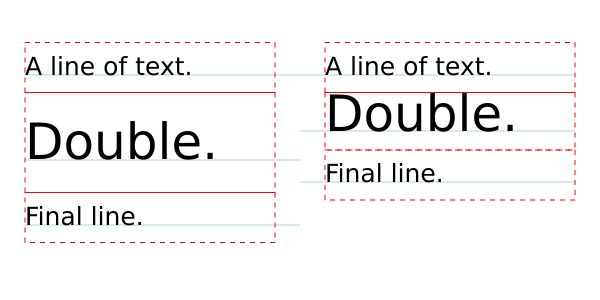 CSS Exclusions Working Draft (3 May 2013). CSS Exclusions Editor’s draft (22 May 2013). 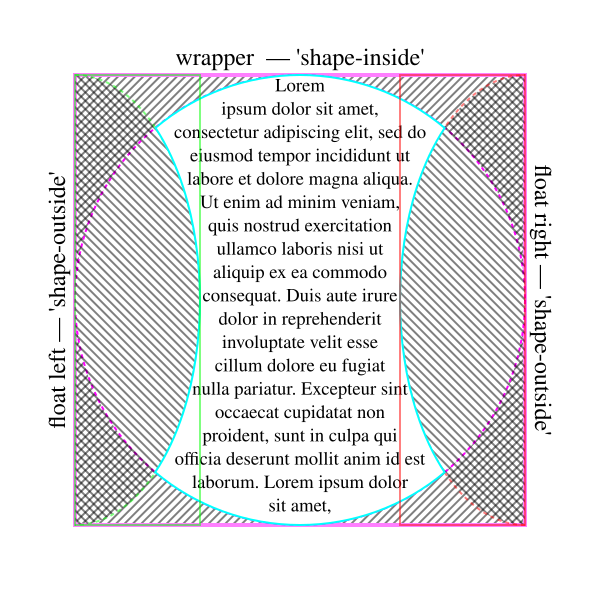 CSS Shapes Editor’s draft (20 May 2013). Note that these terms are rooted in the CSS box model. 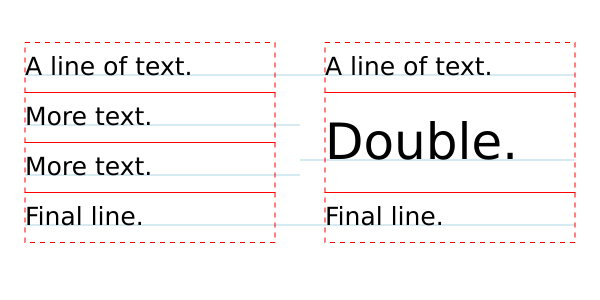 The CSS2 box model as shown in the CSS2 specification. 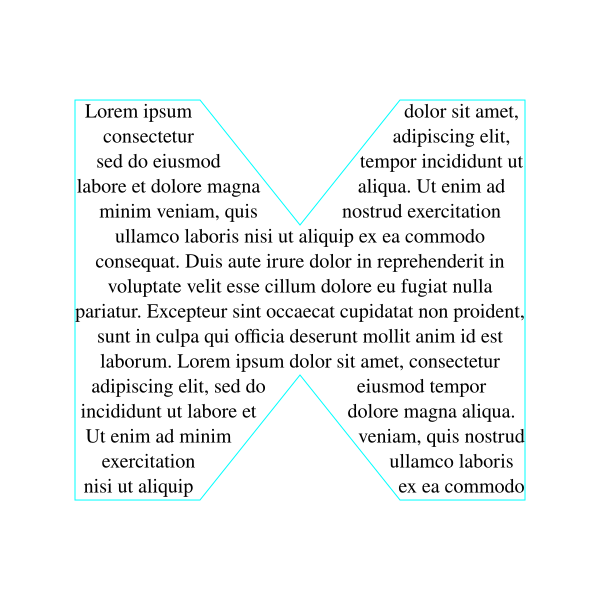 The dashed line is the bounding box for ‘geometric-box’. 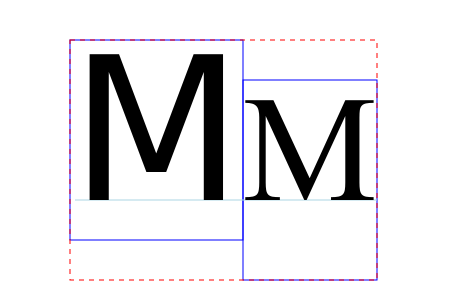 The dashed line is the bounding box for ‘stroke-box’. 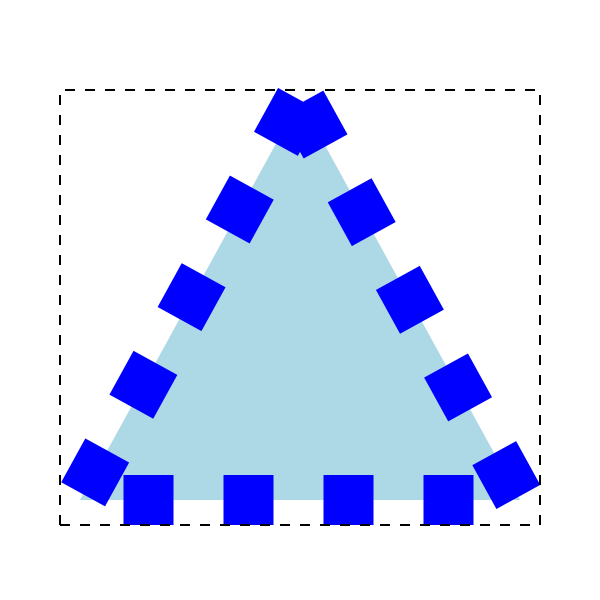 The dashed line is the bounding box for ‘painted-box’. The default value is ‘border-box’. This may make perfect sense in HTML space. For consistency, the default value should be the same for masking and for clipping and it should be the same for HTML and SVG. During our meeting, we discussed what would make the most sense for SVG. Most people (including me) would find it very strange if the clipping of an object depended on what we would consider styling, thus ‘geometric-box’ would make the most sense. It might be possible to have the default style sheet set to that value for SVG but it is not clear this is what the SVG WG will choose to do. If they don’t, then by default, a clip path will depend on styling. Which can lead to some strange effects. Suppose you have a triangle with a stroke. 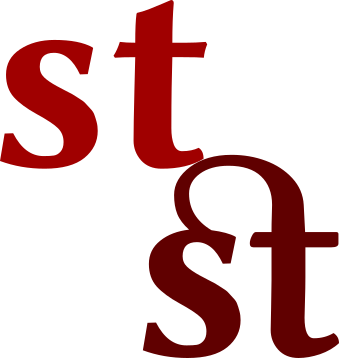 The ‘stroke-box’ and ‘painted-box’ depend on the thickness of that stroke, the line-join type, and in the case of miter join, the miter-join limit. OK, we can do the calculation to find the resulting bounding box, its just a few CPU cycles. Next lets add a dash pattern to the stroke. I was surprised to learn, that some people think that the dash pattern should effect the ‘stroke-box’ and that many graphics libraries are programmed that way. The box changes depending on if a dash hits a corner or not. Now let’s go way out, suppose we animate the dash pattern (something you can so in SVG). As the dashes march around the triangle the bounding box will change. And since the clip path depends on the bounding box, it too will change… Probably not something that you would have expected or actually wanted. Note how the bounding box changes as the dash pattern moves.